Before the products are packaged, most of them are the same or similar. The consumer does not have any means to judge which brand the product belongs to, and there is no way to judge the quality of the product. Many consumers do not buy unpackaged products, and believe that unpackaged products are not trustworthy. 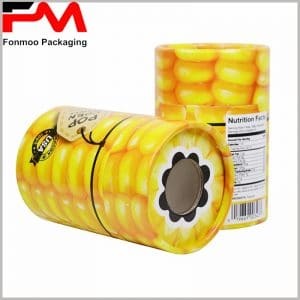 Therefore, custom packaging must be considered in the product plan, which can make the product at the time of sale used brand premium. It is worth noting that custom packaging is not only the label of the product brand, but also one of the cheapest brand promotion channels. Why do you need to spend a lot of energy and money to design product packaging? According to the 2015 E-Commerce Packaging Survey, more than 40% of consumers associate product packaging with product value and believe that high-end product packaging is important for luxury goods. They will consider bronzing logos, gold cardboard, UV printing, etc. as high-quality packaging and products, willing to spend more to buy products, and repeat purchases many times. More than 40% of people will be more creative and willing to share products and packaging through social media such as Google+, and even recommend products directly to friends. The high-end, extravagant and creative design of custom-packed boxes will have many potential customers. Choosing to incorporate packaging into your product brand will not only promote sales, but also more potential customers. What we can be sure of is that the product packaging moves as the product moves, and may appear in supermarkets, offices, homes, and even parties. This means that our brand will likely appear on more occasions and be known by more potential consumers, increasing the likelihood of sales. If it is a gift box, printing a logo on a custom package, consumers will very likely purchase because of the influence of the brand. Over time, we will find that there is a logo on the custom packaging, and the product packaging will become a “special source” for brand promotion. Different types of products are selected for different types of packaging. We often find that electronic products or high-value products will choose hard cardboard boxes. But this is not the only one. You can use any type of kraft paper packaging, corrugated paper packaging, cardboard box packaging, paper tube packaging, plastic packaging, etc. according to actual needs. It is worth noting that we need to determine the package size according to the actual situation of the product, and design creative packaging to attract more users. In the process of designing the packaging solution, we will find that each product packaging design is different. Because brands want their products to be different from other branded products, the difference in custom packaging will be the best choice. It is even possible to change people’s perceptions of products through custom packaging, or to trigger consumer thinking, so as to better promote product sales and brand promotion. Every detail of the package is taken into account and will make your product more unique and trustworthy.